1964: When America was at war with itself. This tagline sums up this film perfectly. The 1960s is a time of the Civil Rights movement and one of the most violent, infamous and controversial in American history. So controversial that countless movies have been made about this time, from many different viewpoints. 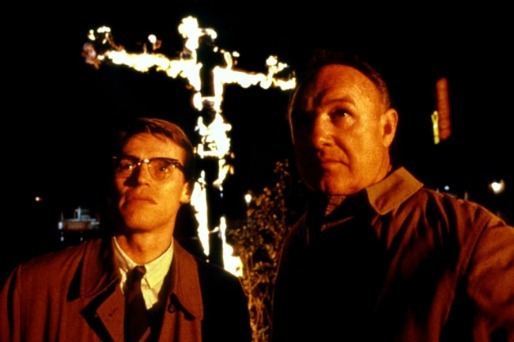 Mississippi Burning isn’t a movie trying to do anything different or unique with the depiction of 1960s America but it doesn’t have to – like it’s tagline, it depicts the cold hard facts in a plain, simple but often powerful story. The opening is cold, vicious and sets a fair tone for the rest of the film. 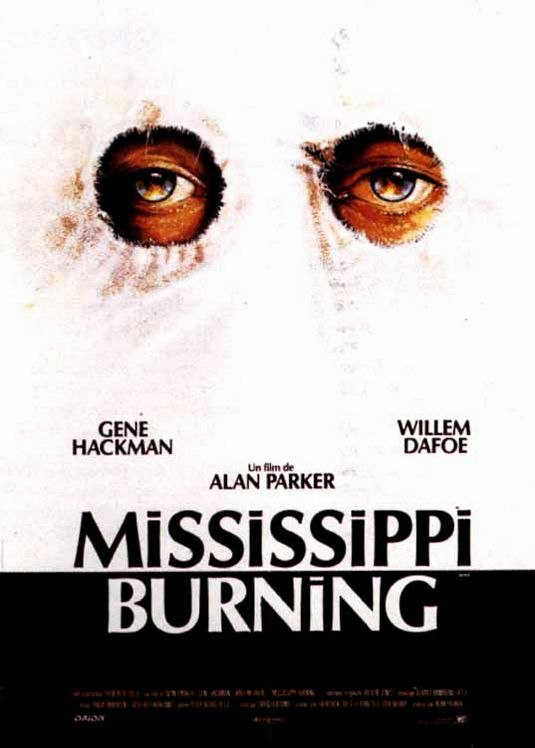 The cold-blooded, stark murder of Civil Rights activists, of both black and white descent, brings the FBI agents to the small town which could depict many deep-South American communities during the 60s (and some would argue now). It is a simple murder case but will be used to highlight in inherent racism in the whole town. It isn’t a new concept but is presented in a well-acted, clearly written way which doesn’t try to be too flashy or go for any sort of unique style. It is a murder investigation but in a town where anyone could have aided and abetted due to their inherent racist views. It doesn’t help that the two agents investigating have contrasting views too. The movie is also about the new meeting the old. Gene Hackman is the old-school agent, rough, ragged and violent if need be. Willem Dafoe is the newer agent, playing things “by the book” and wanting the investigation completed thoroughly, even if it means annoying the locals. Hackman is the realist, having seen it all and knows the consequences of each action – Dafoe is more naive and doesn’t realise how crooked and terrible a community can collectively be. It is a great juxtaposition but also a fantastic way to present the conflicting sides of the case and how fruitless this investigation is when nobody except the agents cares who killed the victims in the first place. I don’t need to comment on how well Dafoe and Hackman act their parts as both bring their A-Game to this movie. The same can be said for the support, which comes from a small love interest in Frances McDormand, as well as plenty of “Where have I seen him before” actors from Pruitt Taylor-Vince, Brad Dourif and Michael Rooker. All these actors play a red-neck stereotype which the film does fall foul to. Often the case is black and white when communities at that time were anything but. There is a clear divide between “good and bad” and when the criminals do finally come to justice, it is done in a gung-ho, justice always wins sort of fashion that wasn’t really typical of the time. 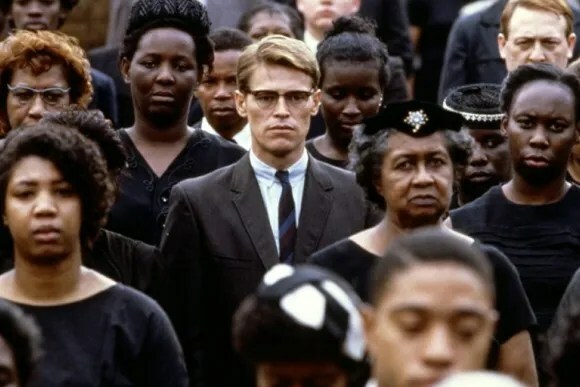 The film does still deliver the story it wants to though and although the ending does feel very convenient, it is nice to get a happy ending when most of the Civil Rights tales of this ilk finish so pessimistically. It is also refreshing to see what would be considered an “old-school” approach to the Civil Rights story, no frills, theatrics or gimmicks – just a plain, clear murder case with decent, interesting characters. 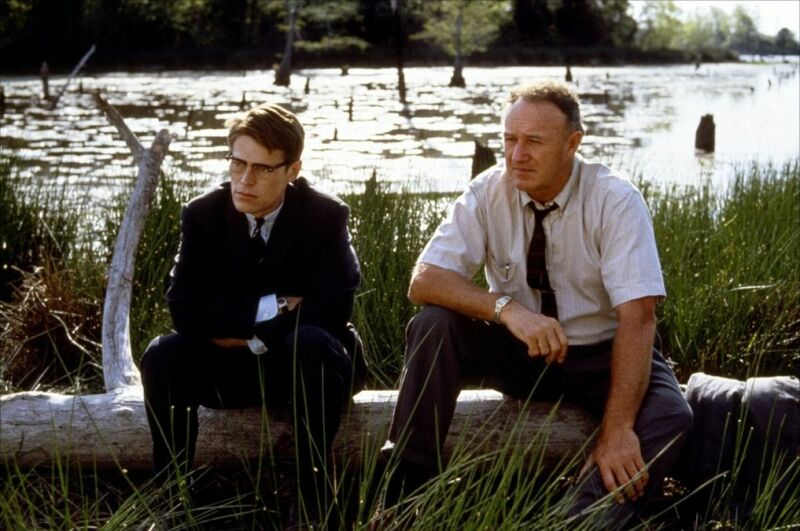 Overall, Mississippi Burning doesn’t try to deliver anything but a decent, solid murder mystery in the time of the Civil Rights movement and it is its simplicity that is its success. It has some great actors at its core, particularly Hackman and Dafoe and can be as gritty and realistic as a movie set at this time should be. It is just a shame that the ending feels too “neat and tidy” when the history around this subject is anything but. Oh man. An oldie but a goodie. Previous Previous post: What If… Marvel had owned all their characters from the beginning?